Wolfenstein: The New Order game is an upcoming first-person shooter and the rebirth of the famous series about World War II. 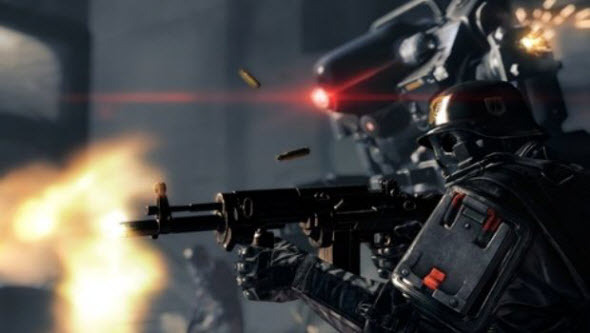 Today to anticipate E3 events its developers published the second Wolfenstein: The New Order trailer that tells us more about the game's plot. Wolfenstein: The New Order trailer demonstrates the alternative universe, in which the game is set. Here the Nazi Germany has won the World War II, and the whole world has been enslaved. The video gives an interesting look at different important historical events from another angle, where Germany rules over the Europe. But in the end of Wolfenstein: The New Order trailer we understand that our protagonist doesn't want to accept this situation. How do you like new Wolfenstein: The New Order trailer? Are you waiting for this game? Let us know in the comments below!